Jeremy Fish is a busy man. Between the mobile art tour, recently launched jewelry line and his first solo exhibition at Laguna Art Museum, it’s likely that people may want to know his thoughts on the art world at large. Luckily, Upper Playground caught Fish long enough to snag a few words for YouTube. 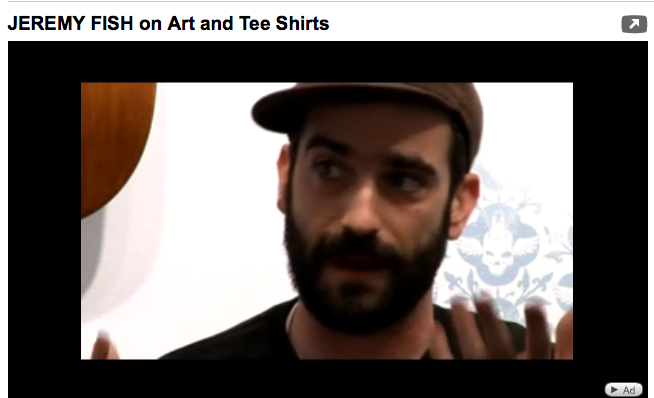 Check out Jeremy’s opinions on art and t-shirts, and the limited difference between the two. Click here to watch!